“Clay and Petals,” an exhibit featuring a collaboration between ceramics and flower arrangement, closes Sunday, April 1, in the George J. Doizaki Gallery of the Japanese American Cultural and Community Center, 244 S. San Pedro St. in Little Tokyo. The ikebana arrangements were created by members the Ikenobo, Sogetsu and Ohara schools in memory of the victims of the March 11, 2011 Tohoku earthquake. 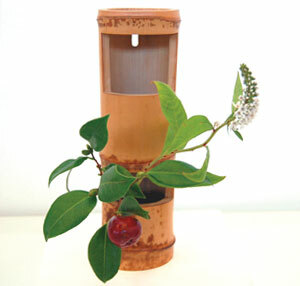 The contemporary clayworks are from the esteemed collection of Etsuko and Joe Price. Weekend gallery hours are 11 a.m. to 4 p.m. Admission is free. For more information, call (213) 628-2725 or visit www.jacccc.org.